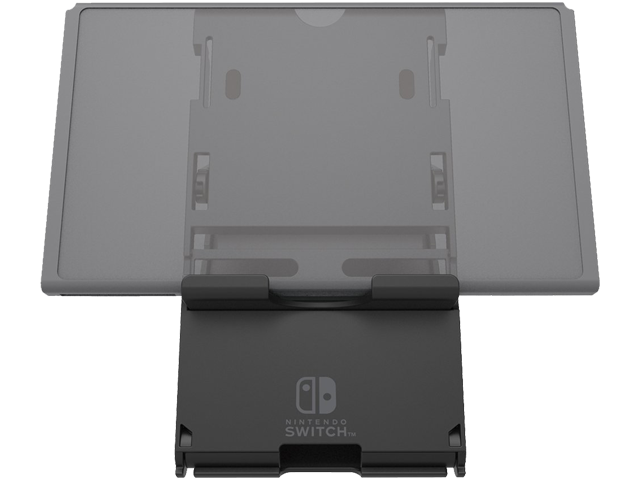 Enjoy playing your Nintendo Switch™ at the perfect angle with this Compact Play Stand. Folds out to hold the Nintendo Switch at an adjustable angle, secured in place by rubber grips. Includes a space for the charging cable to connect so you can charge while playing! Folds up for easy portability. Nintendo Switch and charging cable not included.